ABC, one, two, three, baby, you and me girl! With a little Jackson 5 on our soundtrack and a whole lot of A+ inspiration, we're all about teacher brides and grooms! Our editor-in-chief was a teacher in her pre-wedding industry days, so this time of year is especially a soft spot when all the school supplies are out and "1st Day of School" photos are posted all over social media. 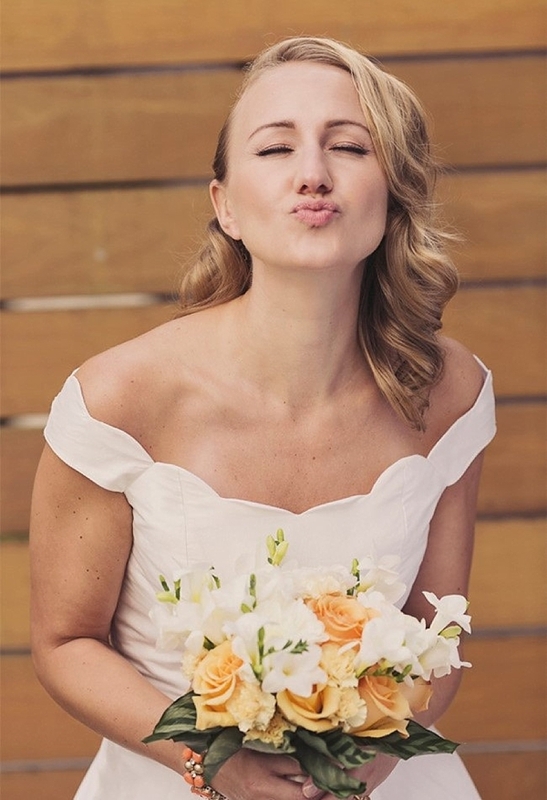 Like most any professional, teachers are especially in love with what they do, so it only makes sense that that passion would carry over into their wedding days! Curated from Etsy, we counted up the cutest and chicest favorites for any bride or groom whose hearts sing for Sharpies on clearance, students acing their quizzes, and a good book read aloud. There's nothing as iconic as that sturdy black and white composition book we all know well. This adorable spin on the classic in wedding invitation form is just too perfect! The little extra doodles can't help but make someone smile. For elementary school teachers, there tends be a bit of playfulness in their personalities. It just comes with the job, so this lovely scallop neckline and fun tea length dress is the quintessential attire for anyone bride looking for a bit of retro and a bit of whimsy in her gown. 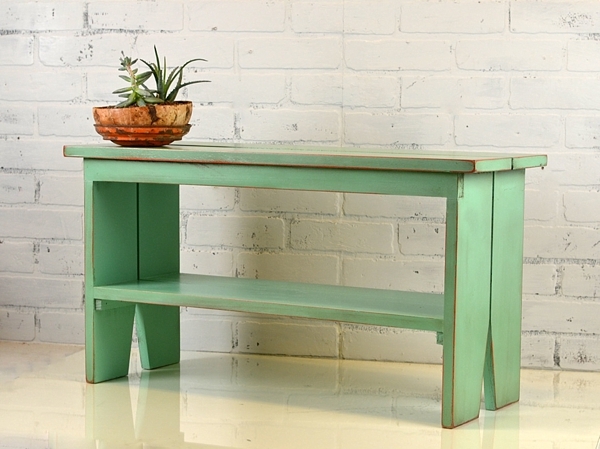 Though this beauty comes in any custom color, we especially love this school bench in apple green! Place it at your sweetheart table or maybe in your open air photo booth, either way, this sweet furniture piece would mean tons of gold stars with your guests and look amazing in your home afterwards. Basically the title of this roundup was meant for this because this is too cute for words! 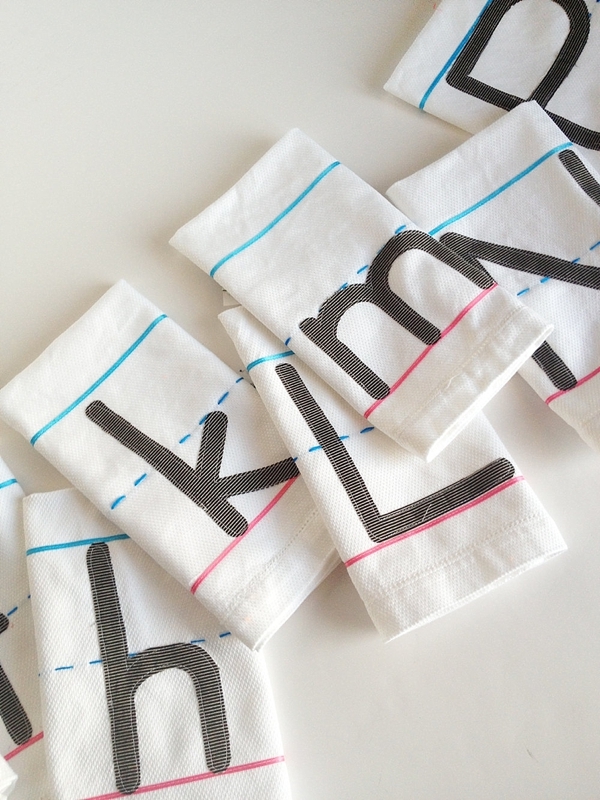 Gift these adorable hand towels to your favorite teacher who will totally be impressed that you even know what "Zaner-Bloser" is. Our editor-in-chief used to be a second grade teacher back in the day, and while she's no longer in the education world, she still wants these! Who wouldn't?! 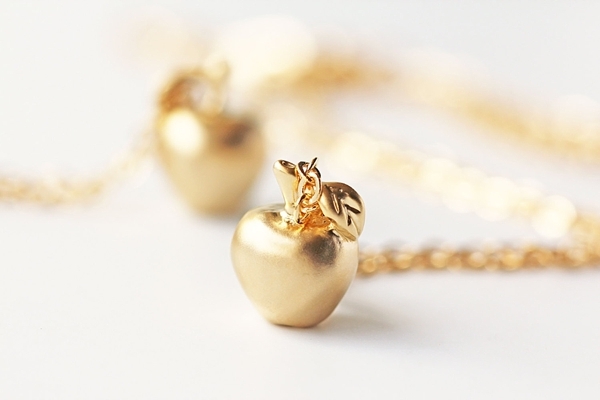 This tiny little golden apple necklace is a subtle nod to your school wedding theme. Whether for your bridesmaid, mom, or bride, we say these kinds of apples are always the sweetest! 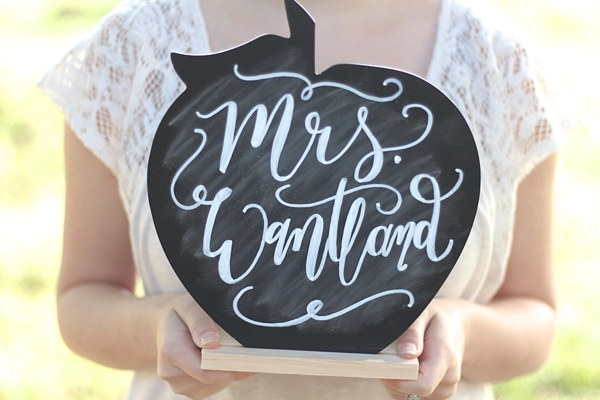 We don't have to say much why this apple-shaped chalkboard is perfection. Apples? AND chalkboards? So much yes. The best part? Reuse it after the wedding in the classroom or at home! Let's be real. Teachers can be picky about their pencils. (Ticonderoga, anyone?) 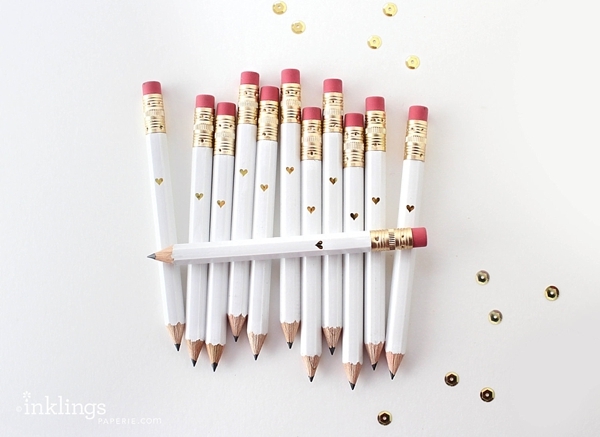 So having the cutest white pencils with gold hearts as wedding favors? Oh swoon and totally practical. Even think about pairing it up with a fun wedding-themed Mad Lib for your guests to fill out while waiting for dinner. 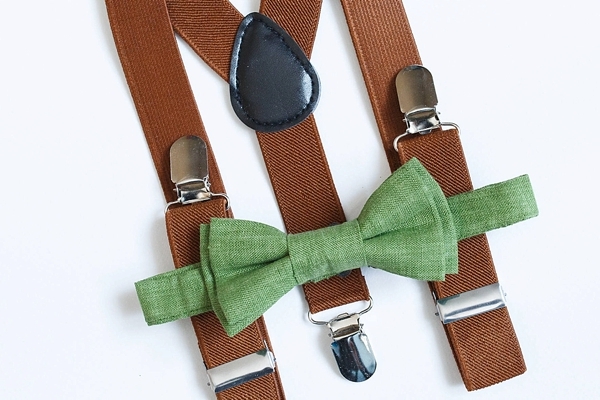 Some of the sweetest wedding day stories we've read are those of teachers having certain special students be part of their celebration, so don up the ring bearer in this precious bow tie and suspender set to get all the "awwws." 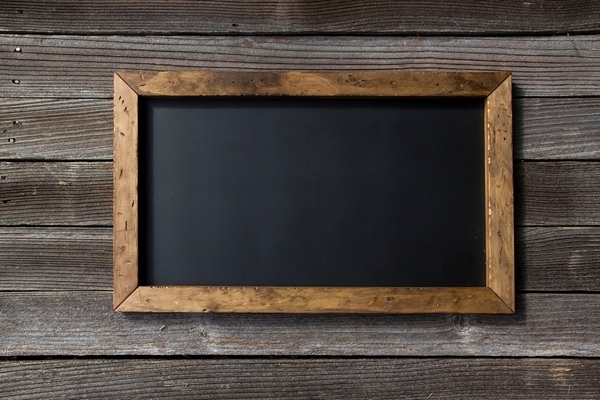 Sure, most educators now use smartboards and whiteboards, but there will always be the classic chalkboard to remind us of the classroom, and that makes it the perfect decor piece to make your wedding signs out of! 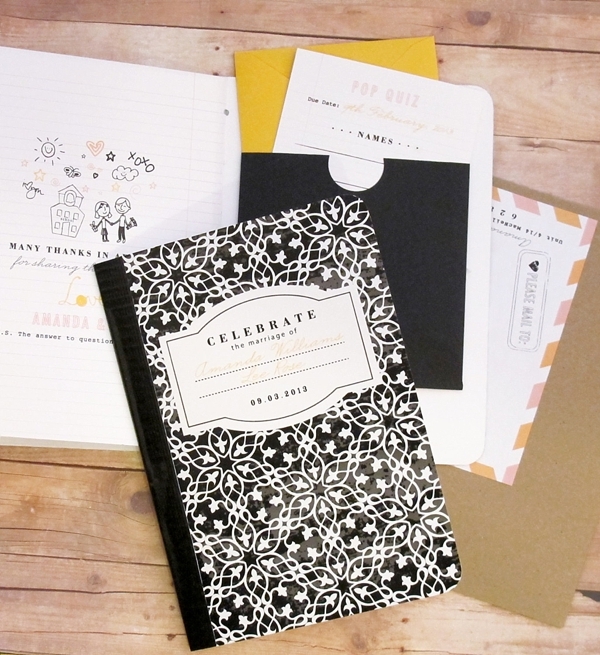 Create your ceremony program on here, seating chart, or even a doodle board for the little ones attending. It'll make for lovely photos and special moments either way!